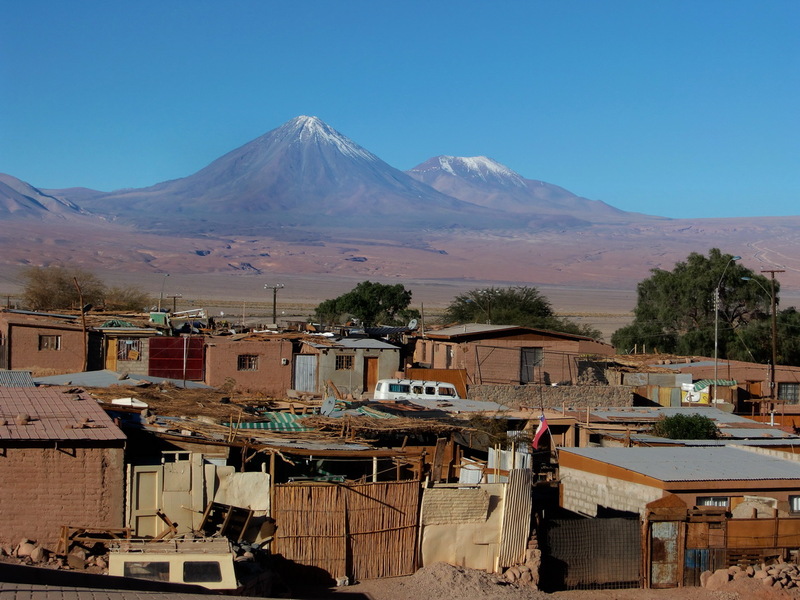 The Volcano Licancabur is the landmark of San Pedro de Atacama. Its shape is a perfect cone, with more than 3,500 meters over San Pedro. But the ascent is not possible on the Chilean side of Licancabur, because a lot of dangerous blockbusters are on this side and nobody knows where they are buried. Hence you have to go to Bolivia if you want to climb up Licancabur. It has one the highest lake of our world in its crater, more than 5,800 meters sea level. On its foot are some ancient ruins built by the Incas as well as on top of Cerro Incahuasi. Cerro Incahuasi is closed at the road to the Paso Jama few kilometers north of Licancabur.